Del Gelato is a unique and attractive Gelaterio in Hull which opened in September 2016 and is already very popular. 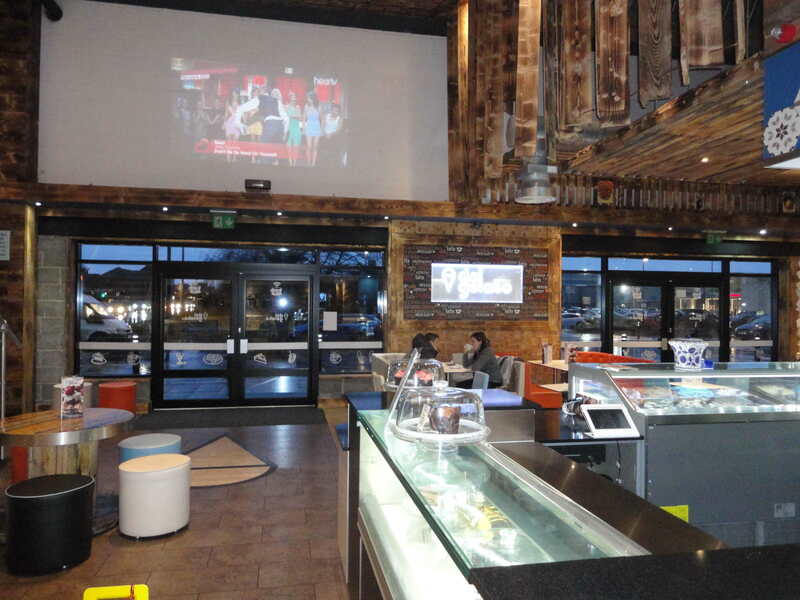 It is owned and managed by Erkan Saribal who was heavily involved in the original setup and choice of products and ingredients, and who now oversees the making of the ice creams and running of the business. Following is the transcript of an interview with Erkan in February 2017. AlfaRichi: I know that you were previously involved with retail businesses. Why did you decide to branch out into the Gelaterio business? Erkan Saribal: I am adventurous and like to change things, and decided on this business to get better profit margins. AlfaRichi: It is now 5 months after opening, are you glad you did this? AlfaRichi: Did you have an idea about the EPOS you needed? Erkan Saribal: No, it was a recommendation that made me choose AlfaRichi POS for the Gelaterio, but it was a good choice. With AlfaRichi I had the choice of their EPOS either on tablets or terminals and I went for the Android Tablet EPOS because it takes less space on the counters and looks attractive. AlfaRichi: Why do you think it was a good choice? Erkan Saribal: Because at the moment I feel I am capable of doing pretty much what I want with it. The system is different from previous ones that I used and it is the first time I have used one with a back office. The AlfaRichi EPOS cloud back office gives me great control over what my staff are doing and what I am selling. AlfaRichi: What are the good things about AlfaRichi EPOS? Erkan Saribal: It enables me to manage multiple shops and communication wise it is good from the Cloud to the tablets – changes I make go through straight away and I see sales up to the minute. AlfaRichi: Are there specific examples where it has really helped? Being able to have in the EPOS lots of automatic product choices like cone, tub, etc., then choices of flavours and choices of sauces and toppings. Because the AlfaRichi software links to the Payleven card readers I don’t have to use a different card terminal and re-enter the amounts. Some of the cloud back office reports – especially the transactions by half hour report which enables me to judge how busy we are and make my staffing forecasts. The hardware consists of two Lenovo 10.1” Android tablets running AlfaRichi AlfaPoint POS software, each in a stand attached to the counter with a Wi-Fi thermal receipt printer and cash drawer housed beneath the counter. There are 3 additional Wi-Fi printers which automatically print the food and drink orders – one by the coffee machine, one in the waffles area and one in the ice cream preparation area. There are similar prompts for most of the products which means that staff training is minimal and staff are always upselling by proposing additional options, and there are no missing choices because if the option must be chosen (such as a flavour) it isn’t possible to go to the next step before making the choice. Use of preparation printers for ALL products (with 3 printers in the different areas) means that products are ONLY prepared when they have been ordered and paid for, and because all product options are clearly printed there are no errors. All staff log in with their own password and the manager can see on the cloud back office the sales that each staff member is making as well as average transaction value, numbers of cancel and voids, number and type of discounts given, etc. – thus eliminating or controlling possible theft and underselling, and being able to reward people making the most sales. Other sales reports include the transaction by half hour report which shows sales every half hour over a compete week and enable the manager to decide how many staff are needed each day and time during the week, and how much of the different products to prepare. 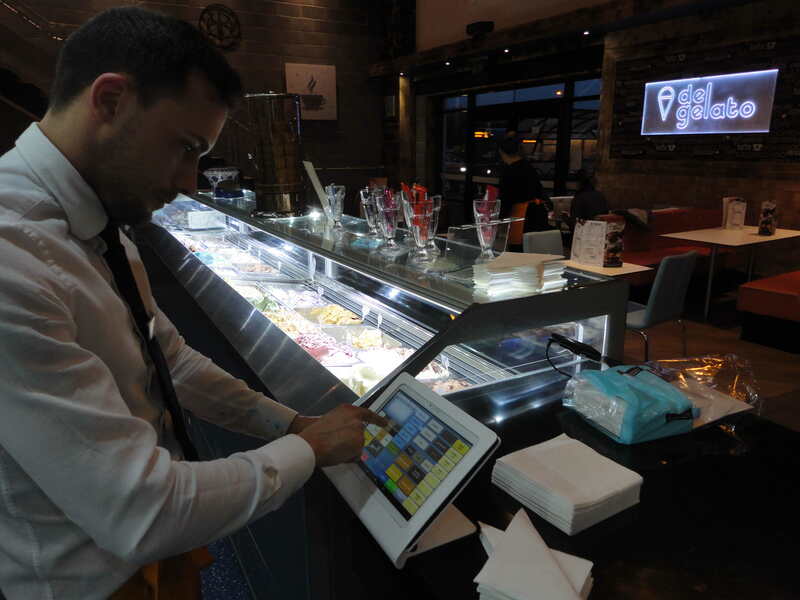 Taking into account the different EPOS ROI (return on investment factors) with AlfaRichi EPOS for dessert parlours and gelaterios it is possible to achieve a gain of up to 15% of the revenue. With an example of £20 000 monthly revenue, this is an ROI of £3000 per month. Contact AlfaRichi for more details about the potential ROI and a calculation based on what EPOS (if any) you currently have and the factors that would apply to your specific business.